Vector portrait of an adorable alien character. 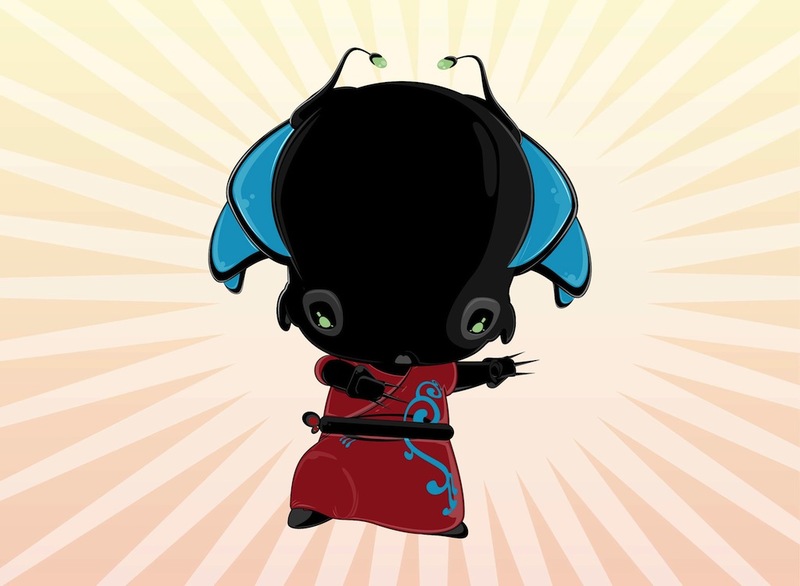 Strange fictional create with big head and ears, small antennas, tiny body and hands with sharp claws. Alien warrior wearing a kimono. Free vector graphics to design alien invasion, science fiction, cartoon characters and extraterrestrial creatures visuals. Tags: Claws, Extraterrestrial, Fighter, Karate, Kung Fu, Monster, Warrior.